Today’s card is so incredibly cheery. I love the fun festive colors and the cute repeating pen image. 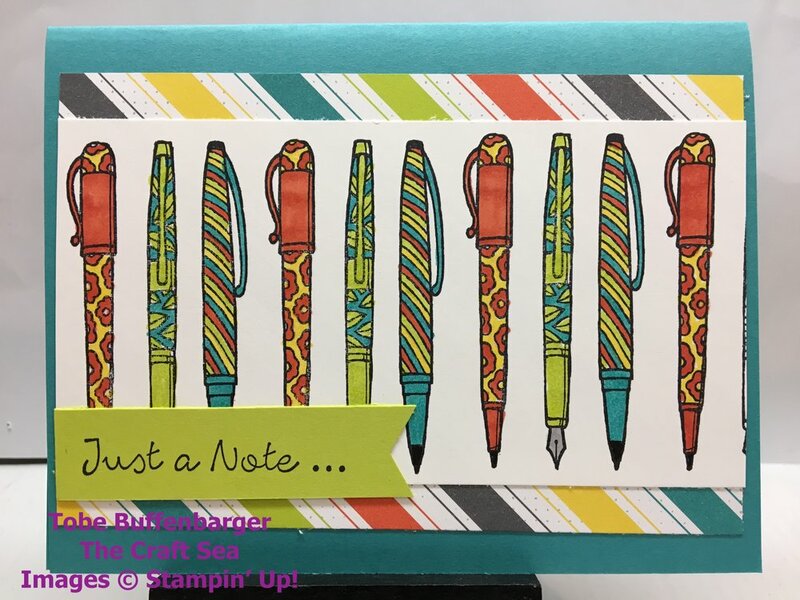 I decided to color the pens with the colors featured in the DSP and love the results. Coloring this card was very meditative. I love these simple and easy cards.